Are you going be caught out by your insurance small print? 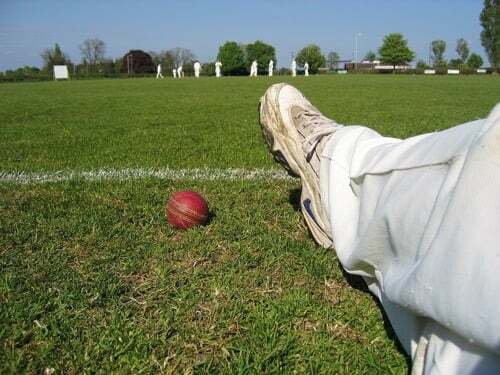 Many amateur cricket clubs are purchasing their club insurance at this time of year and, let’s be honest, it’s not the most exciting thing about cricket. It can therefore be tempting to just renew the existing policy without looking at the details or perhaps go online hoping to find something cheaper, again not looking at the details. However when it comes to insurance, the devil is in the detail, as they say. Does your policy cover you for damage to playing surfaces? We have seen cases where vandals have driven across the wicket, even poured diesel on the wicket, which can cost a fortune to repair and put you out of action for weeks. Do you ever hire out your clubhouse for private functions or open your bar to non-members? Lots of clubs do but some insurance policies will not cover you if you do. Is your pavilion used during the winter? Many polices will limit cover if your property is not occupied for an extended period of time. They may impose requirements that you inspect weekly, disconnect the utilities and drain the water & heating system. Are your volunteers insured? Legally volunteers, part timers and work experience individuals are considered employees, which means you may have a legal requirement to purchase employers’ liability insurance for groundsmen, bar staff and coaches. How do you secure your grounds maintenance equipment? Some insurance companies will require you to list equipment over a certain value and some will require that plant is not only locked away but that it is also chained to an immovable object. Do you play any other sports, even for fun? Some cricket polices will only cover you for cricket, so if you have an impromptu kick about because training is rained off you may not be insured. Do you run a mid-week league? Check your policy on this as many mid-week leagues have been caught out with no cover. Are you aware of your insurance policy’s minimum security requirements? Most polices will have minimum requirements in relation to the types of locks you have on your doors & windows; if you fail to comply your insurance may be invalid. Take time to check that you meet these requirements. Are your committee members & club officers insured? Your club might be insured but do you have cover that protects committee members & club officials should claims or allegations be made against them personally for failing in their responsibilities, such as health & safety, GDPR, child protection, etc? If you are the ‘lucky volunteer’ responsible for organising your club’s insurance, we recommend you take a few extra minutes to check that you are correctly insured and you can comply with the small print. If in doubt you should take the advice of an insurance broker who is experienced in dealing with the peculiar needs of cricket clubs, such as Mann Broadbent!